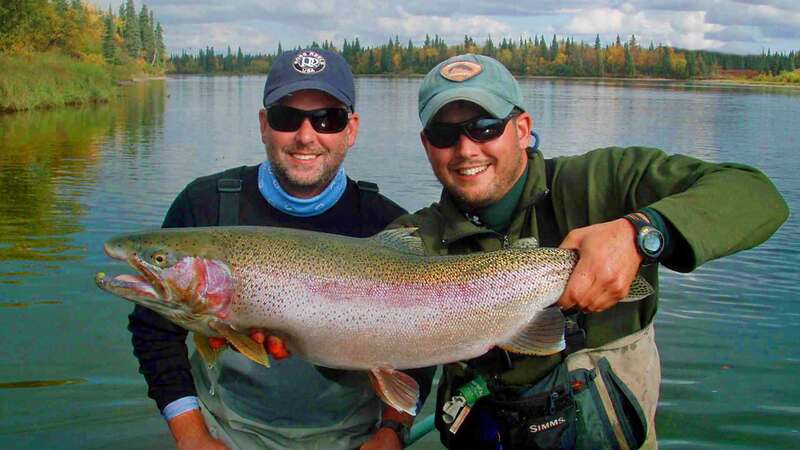 Bristol Bay - The Royal Coachman, a remote fly fishing lodge, offers daily fly-outs to over thirty different rivers, with 20 Jon boats on ten rivers within the area. 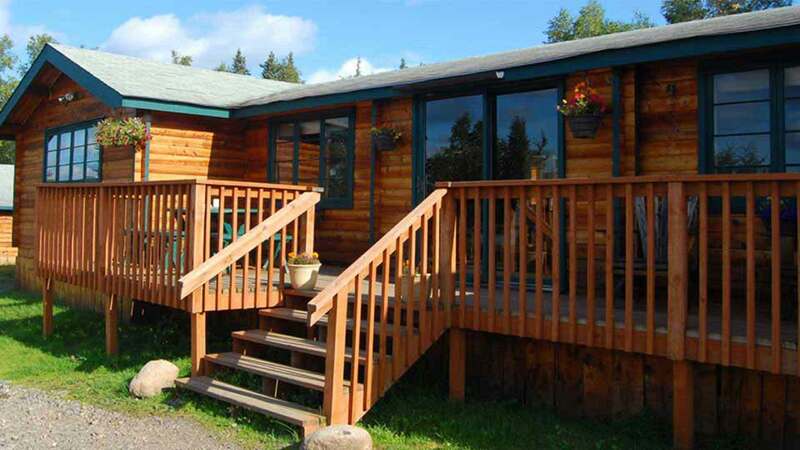 The Lodge is located in the middle of Wood River Tikchik State Park, the largest state park in Alaska, with 1.6 million acres. 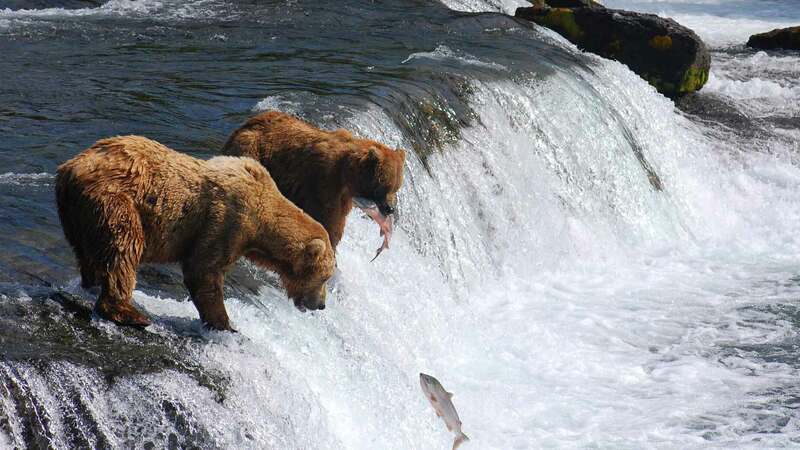 Fish the upper Nushagak, Kvichak, and other numerous rivers and lakes offering five species of Pacific salmon (king, sockeye, pink, silver, and chum), rainbow trout, grayling, northern pike, arctic char, and many other species. You’ll have an opportunity to catch pike over 40-inches, rainbows up to 15 pounds, char over 30-inches and grayling up to 22-inches. All fishing is with single, barbless hooks. You are allowed to keep up to five salmon during the week, although the Lodge has a strict catch-and-release for freshwater species. The Lodge has two DeHavilland Beaver floatplanes that allow guests access to 32 different rivers, flying up to 120 miles one way per day (weather permitting). Their three pilots have over 60-years combined experience flying bush planes in Alaska. Physical condition: You'll need to be in moderate to good physical condition as the daily fly-outs often involve hiking to the fishing areas and then wading. Royal Coachman Lodge hosts 10 to 12-anglers each week. Your guides have the flexibility to go where the fishing is best for the species you want to target. Boats: They have nearly 20 Jon boats, with 40-h.p. jet units, on ten rivers within the area. Guides: Their guides have fished around the world and make this their career. Two anglers per guide. On average, the guides have been with the Lodge for twelve years. They can help the beginner learn how to cast or show the experienced fly fishermen how to reach a tricky undercut bank. Every evening you'll sit down with staff to review plans for the next day's fishing. You’ll enjoy full fishing days, beginning with breakfast at 7:00 a.m. and departing from the Lodge at about 8:00 a.m. You’ll return to the Lodge at 6:00 p.m. to rest, rejuvenate and enjoy appetizers before dinner which is served at 7:30 p.m.
Royal Coachman is located on the Nuyakuk River. The Lodge has four furnished one and two-bedroom guest cottages with private baths, independent heat, comfortable beds, and spectacular views of the river. The main lodge houses the kitchen, dining room, and lounge, library corner, a massage room, and one well-appointed guest room with a double and a twin bed and a private bathroom. The Lodge hosts a max of 12 guests. Meals: Freshly baked bread, rolls, and pastries are served at each meal. Fresh fruit and vegetables are always available. Dinner menus vary but typically include New York steak, prime rib, halibut, a variety of Alaskan seafood, and similar items. Lunches are prepared by the Lodge kitchen staff and are often supplemented by fresh fish cooked on the stream bank. Homemade soups, bread, pastries, and desserts are the specialties of the house. Airport reception in Dillingham, roundtrip floatplane transfer between Dillingham and the Lodge, lodging and meals at the Lodge, guided fishing, flies, guided daily fly out trips from the Lodge (weather permitting), and taxes. Airfare to Anchorage and Dillingham (charter flight from Anchorage to Dillingham), personal gear, rods, reels, liquor, King Salmon stamps (if appropriate), fishing license, the possibility of a fuel surcharge, laundry service, or gratuities. 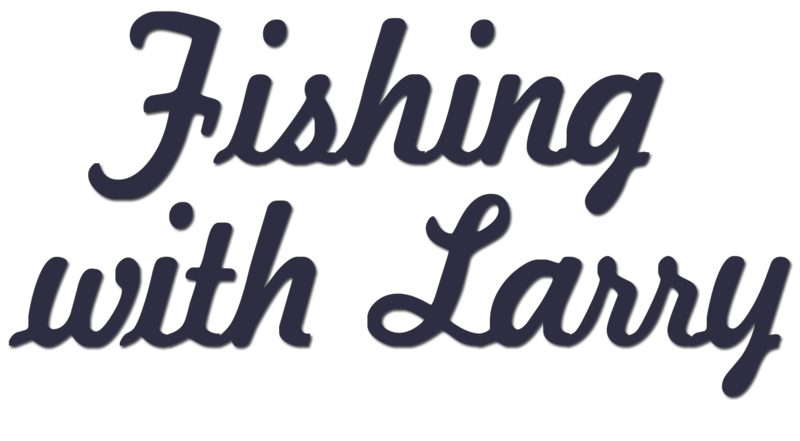 They do have a limited amount of gear available for guest use, and offer rod/reel rentals for the week at $75.00 per person. Hotel rooms or food expenses incurred due to weather delays are also not included, and anything not mentioned under inclusions. There is a large selection of flies available at the Lodge, and flies are included in the package. Spin gear is not included. A 4-to 6-weight fly rod is recommended for non-salmon species, a 7-to 9-weight rod for salmon, and a 9-to 10-weight rod for kings. Floating lines and sink tips are effective, especially for kings. 32 Rivers to choose from . . .
With nearly 20 boats scattered throughout the region, and access to many rivers where a boat is unnecessary, you will have an amazing number of fisheries to choose from each day. 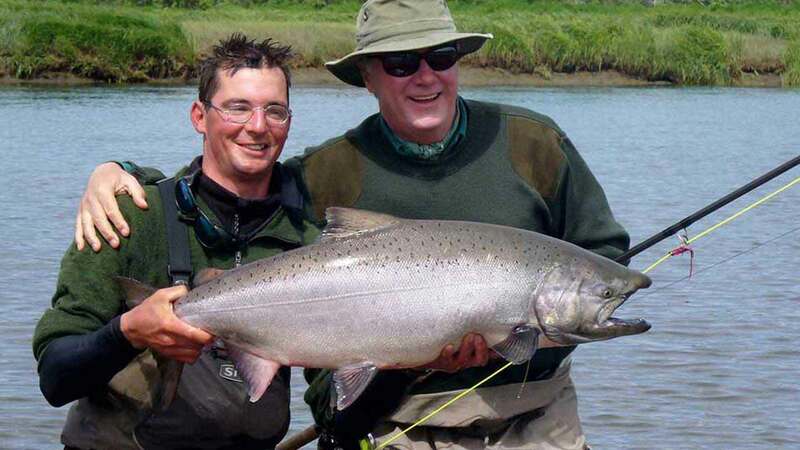 King salmon start running up the Nushagak River around mid-June, and up the coastal river around July 1st. King fishing remains good until the end of July. The Nushagak is a large river with many braided sections, and although fly fishing is difficult in bigger parts of the river, the smaller braided areas can produce great fly fishing for these hard fighting beasts. 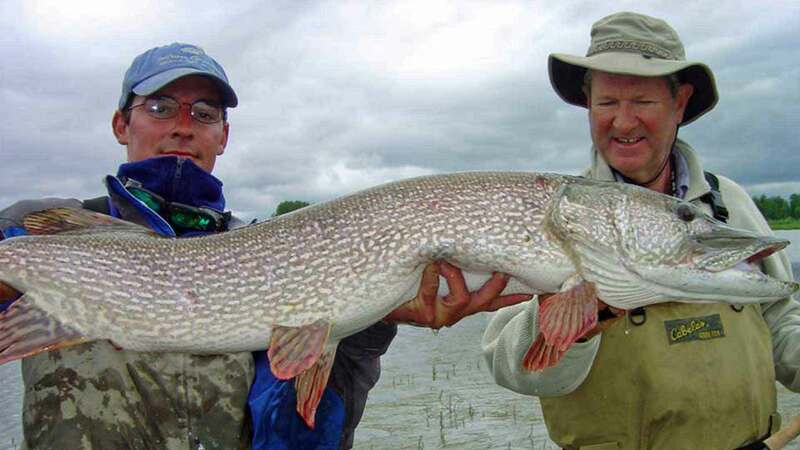 Pike up to 10-pounds are common in these rivers, lakes, and sloughs, and fish weighing up to 30-pounds and measuring over four feet in length have been caught by lodge guests. Pike love mouse patterns and have one of the most aggressive top water strikes in freshwater. Fish for rainbows, char, and dolly varden from more than fifteen rivers, ranging from small wading streams to larger rivers such as the upper Nushagak and Kvichak. 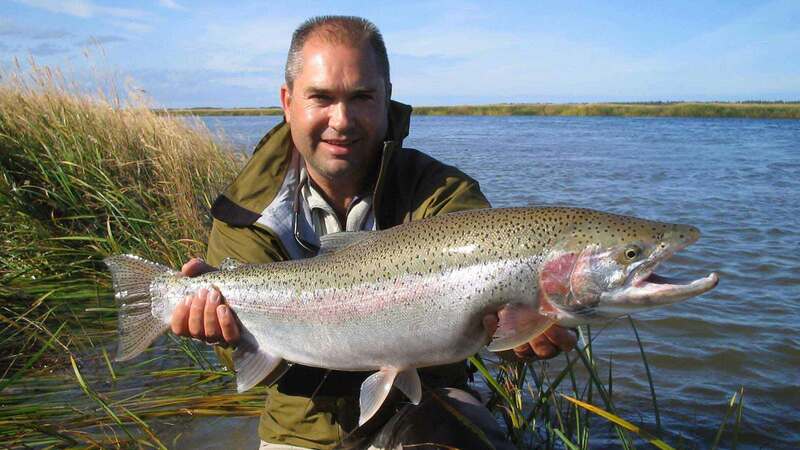 Rainbow trout are abundant in the clear water lakes and streams draining into Bristol Bay. Early in the year, rainbows respond well to traditional dry flies and nymphing techniques. 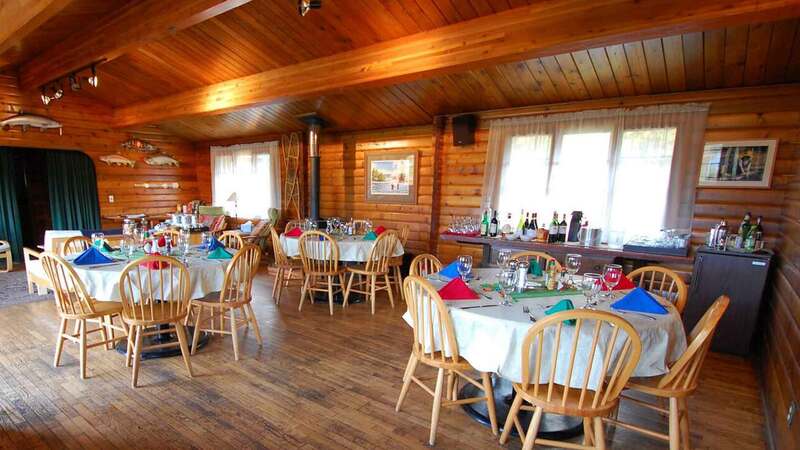 The Lodge prides itself on the quality and quantity of food available to its guests. Freshly baked bread, rolls, and pastries are served at each meal. Fresh fruit and vegetables are always available. Dinner menus vary but typically include New York steak, prime rib, halibut, a variety of Alaskan seafood... Snacks are always available. Appetizers each evening. There's a telephone at the Lodge, and free Wi-Fi.